As we predicted the beginning of 2017 has clearly demonstrated that the desire to invest in property in the Algarve continues to go from strength to strength. So far this year we have already brokered several property sales between a real varied mix of nationalities looking to invest in various property types. Predominantly but not exclusively, these buyers are coming from Central and Northern Europe – including from Sweden, Holland, Germany, Belgium, France, the UK and Switzerland. Combine these sales with the potential property purchasers that have already pre-booked property visits with us in the coming months and our optimism for yet another successful year appears well founded. Although difficult to see if you are not directly involved in the Algarve real estate business, property prices have actually been strengthening for the last 2 years. 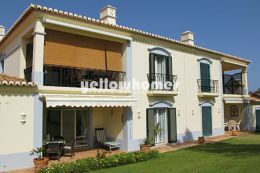 As is common knowledge Algarve property prices fell as much as 40% between 2007 and 2011. This represented a period of much needed price realignment. From 2011 we saw that the marketing prices of properties flat lined but it was during this period that potential buyers were offering considerably lower than the marketing prices and in many cases the properties were being sold. However during the last 2 years vendors have started to flex their muscles and offers being made for property are becoming increasingly closer to the asking prices. Indeed now we are seeing some properties being sold for the full asking price. Naturally if this trend continues the marketing prices of properties will start to increase giving a more visible proof that the property market in the Algarve has regained its buoyancy. From our Vilamoura office, the sale of villas continues to represent the highest percentage of property type being sold. Even though we have villa sales in the established resorts such as Vilamoura, Quinta do Lago and Vale do Lobo, the vast majority of villa sales are actually in village and town environments such as around Loule, Boliqueime, Almancil, Santa Barbara and Sao Bras – a market we have always excelled in. 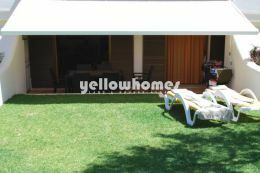 Probably the most significant development in property sales recently has actually been from the sale of apartments and townhouses particularly within Vilamoura and Vila Sol. Due to the high demand for rental properties we have seen a marked increase in the quantity of apartments and townhouses being sold to investors keen to meet this need. With the banks still offering low interest rates on savings, investors are taking advantage of the changes made to the local lodging legislation ( if registered correctly 65% of rental income is considered an expense which effectively means a flat tax rate of 25% on 35% invoiced rental income). With this additional government property tax incentive, we expect the relatively safe investment in bricks and mortar to continue to flourish. If like thousands before you, you have been convinced to purchase a property in this little corner of paradise, then we urge you to browse our brand new and smart phone compatible website at www.algarvepropertysearch.com to see our superb property selection. We recognise the importance of being able to offer prospective purchasers a concise yet perfectly matched selection of properties to suit all tastes and budgets. To that end, if you would prefer to make an appointment to visit our office and discuss your property requirements with a member of our team then please call us on 351 289 301 294. Written by Paul Greenhalgh - Property expert @ Yellow Homes Lda.